Discussion in 'Alienware M15x' started by razor_v1, Aug 24, 2018. 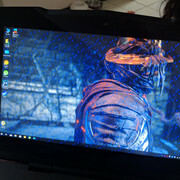 Look more like GPU issue. Yeah. A CPU shouldn't do that. It does look strange, though. I've had GPUs fail before, but they never looked like that. Like others noted, looks like GPU issue, not the 920xm.